You may highlight the text and alter the formatting, but changing the character string will disable the coupon code layer and prevent your promotion from being published. To fix this issue, add a Unique Coupon Box layer from the "Add Layer" context menu within the design canvas and ensure you only alter the formatting. 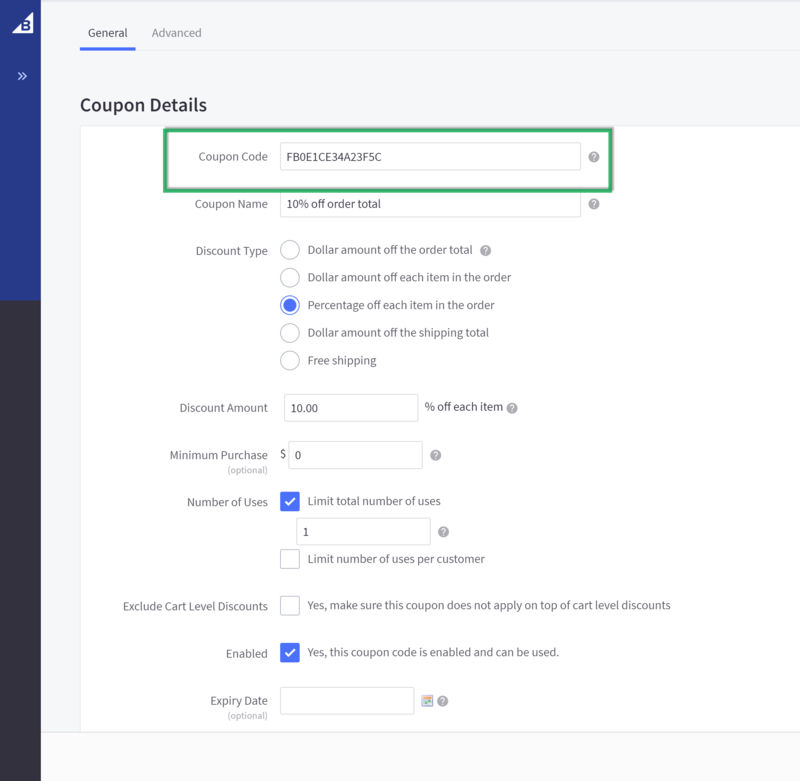 Step 1: Setup a new discount or retrieve an existing discount code from within your Bigcommerce account settings. 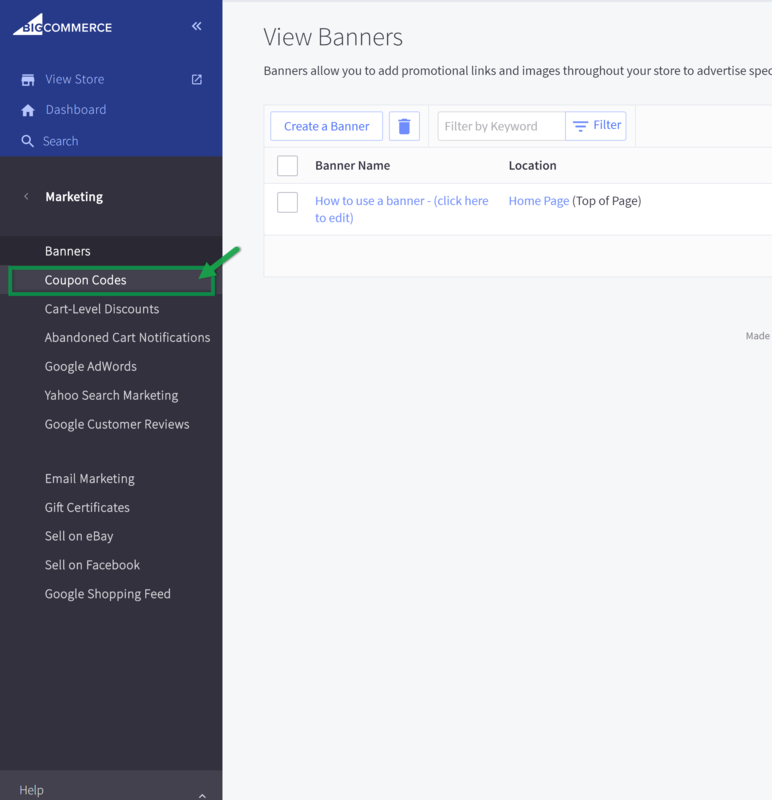 Step 2: Enter the coupon options configuration menu either from the promotion dashboard or the design canvas (as seen below) Then select your respective web platform (Either Bigcommerce or Shopify). 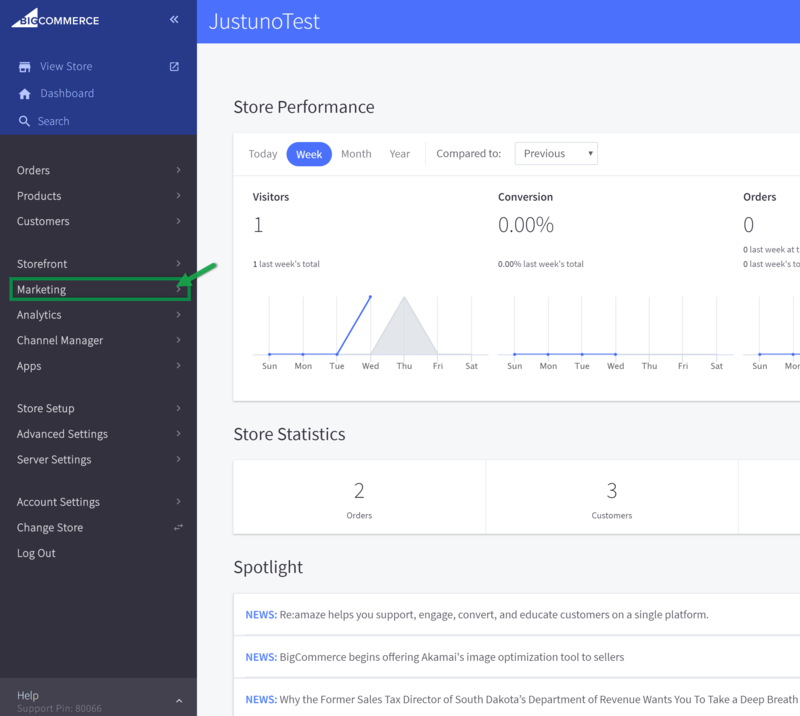 Step 3: Enter in your desired discount code that was listed in your web platform's settings menu in the "Enter Discount Code" field. and enter any string of characters and numbers into the "Prefix" field (Will populate the beginning of any generated coupon code), and set the "Fail Safe" option to Disable, unless you want there to be a default coupon code (i.e. For Testing). Step 4: Save your changes and confirm your desire to switch coupon code settings. 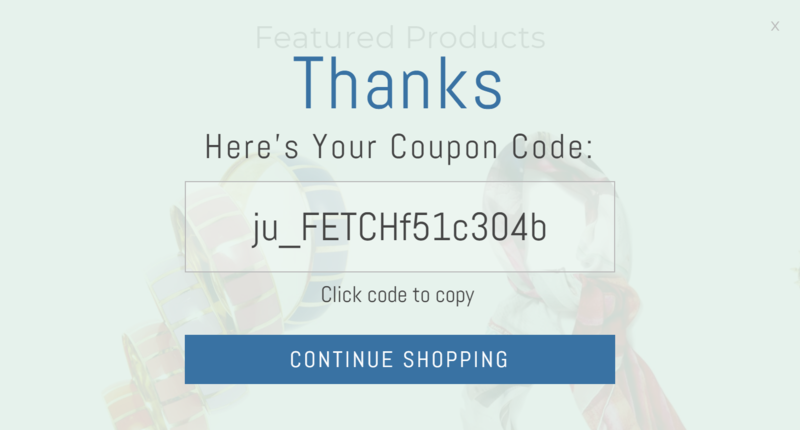 Test your newly configured auto-fetched coupon codes. Note the prefix you had entered previously is now shown prior to the uniquely generated string.